PDF Files Text Extractor Mini is an offline software to extract plain text from many PDF files in single process and save in text files. Saved .txt files can be opened in any text editor. PDF Files Text Extractor Mini is a very fast software and process many PDF files in single process. It has lots of options to save PDF files text in text files. 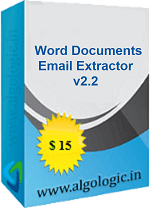 PDF Files Text Extractor Mini software works for all version PDF files from your computer. It does not required any other software to be installed to extract text from PDF files. It extract text from PDF files those have text and skips images in PDF files. PDF Files Text Extractor Mini does not support Password protected PDF files. PDF Files Text Extractor Mini is an easy to use software. PDF files can be added one by one or can browse all PDF files from folders from your computer. It is not an expensive software to save your valuable time. It can be get FREE software license for lifetime for one computer. OR Buy any software from our products and get it FREE! Extract plain text from many PDF files in single process. It creates saparate text files for each PDF files. It can extract text from odd and even pages from PDF files or from specific page range of PDF files. Support all version of PDF files and does not support Password protected PDF files. Not an expensive software to save your valuable time. You can have FREE software license for lifetime for one computer. 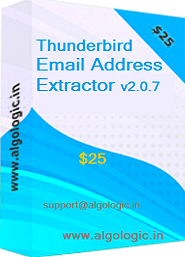 It is a software for extract email address from Thunderbird email. It extract email address from any mail folders such as inbox, sent items, deleted items and user folders and from recipient, bcc, cc, sender, subject and email body of email component. Free trial available for Windows. 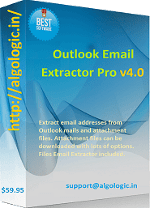 A software for extract email address from Outlook emails and attachment files (.pdf, .doc, .xls, .ppt, .csv, .txt) in Outlook emails. It allows you to select file types to download from Outlook emails attachment and extract email addresses from these files and Outlook emails. 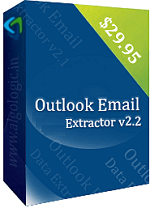 A best files email extractor software for extract email addresses from PDF file, Word (doc, docx, rtf) file, Excel (xls, xlsx, csv) file, PowerPoint (ppt, pptx) file, txt, xml, webpages and other document files from your computer offline. Free trial available for Windows. 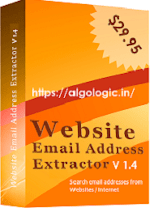 A fast website email addresses extractor software for extract email addresses from internet - websites. It extracts email address from the list of given urls and urls found in url upto defined levels and save email addresses in excel files. A best software for extract email addresses from Word Documents (.doc /.docx /.rtf) files from your computer. It works for all version of Word documents and process thousand of doc files in few mouse clicks. free trial download available for Windows. 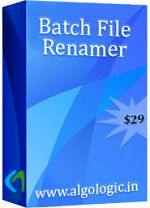 Batch File Renamer is a multiple files rename software for rename many files in a few clicks with lots of file renaming options. It supports preview and undo rename option so you can see the result before executing. 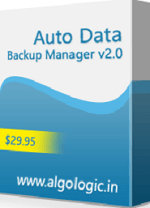 It can rename thousand of files in few clicks.